Recently our member A View to Remember in West Kelowna received Gold Level certification from Green Tourism Canada, showing a great commitment to not only outstanding hospitality, but also to outstanding environmental practices. 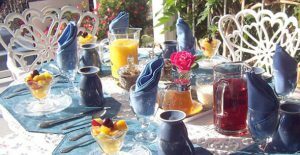 A View to Remember Bed & Breakfast was the very first B&B to receive Green Tourism Certification and they achieved a silver level previously. What is Green Tourism certification? Green Tourism first started in the UK in 1997 as one of the first sustainable tourism rating programs in the world, and has grown to be one of the most sought-after eco-labels and certification programs. Applying for a Green Tourism certification shows a real commitment to best environmental practices and reducing your environmental impact, as it includes a one-on-one very detailed assessment and comes at considerable cost. The program offers continued support and information and has certified hotels, whale watching companies, tourism attractions and others. Members are assessed on a list of minimum standards plus management and marketing, social and communications, energy, water and effluent, sustainable purchasing, reducing waste, travel, nature and cultural heritage, innovation and tourism experiences. With Bed & Breakfasts being in the innkeepers’ homes, this adds another whole level to the process to get a green tourism rating, as the assessment also includes best practices in the home environment. While not all BC Bed & Breakfasts have gone to the extent of getting a Green Tourism rating, many do operate with policies to reduce their carbon footprint. 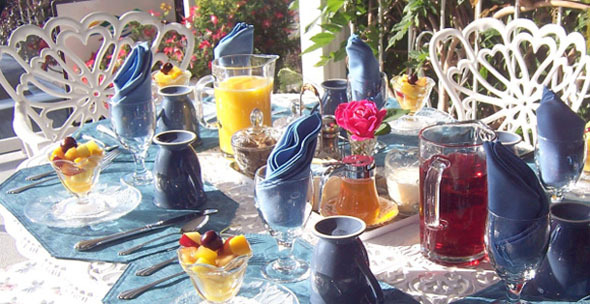 Many innkeepers buy locally sourced and organic products for that delicious breakfast you enjoy in the morning. Many use environmentally friendly cleaning products, lower energy appliances and bathroom fixtures to name a few, and extensively recycle. People who run B&Bs are ambassadors for their regions or cities and want to preserve that environment to continue to be able to share it. If you book a B&B and the environment is of concern to you, please feel free to ask your innkeepers what they are doing to reduce their environmental footprint.